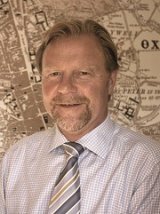 Andrew Goodwin is a Fellow of the Royal Institution of Chartered Surveyors. He heads Woodstock Surveyors in Oxfordshire, an independent professional property consultancy providing an efficient and personal service tailored to the clients' needs. Andrew is an experienced professional with a diverse range of skills. He has worked in the profession for many years and is competent to survey and value both residential and commercial property, as well as other building and property assets. The River Glyme divides Woodstock into two - New and Old Woodstock. Mentioned in the Domesday book as a Royal Forest, the name means clearing in the woods. Blenheim Palace was constructed in 1705 and was the birth place of Winston Churchill. Chartered surveyors covering Stonesfield, Long Hanborough and the surrounding areas.